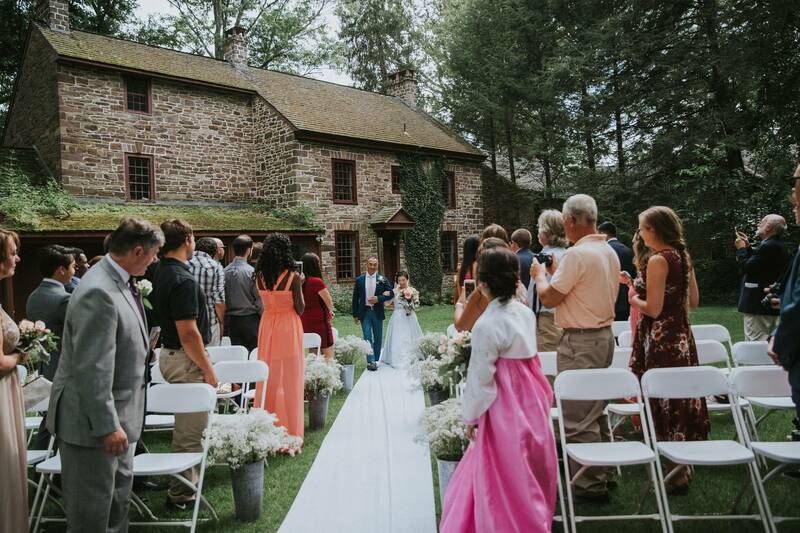 The Prallsville Mill is just one part of a historic complex of colonial era buildings nestled along the Delaware River and Raritan Canal in the small town of Stockton, New Jersey. 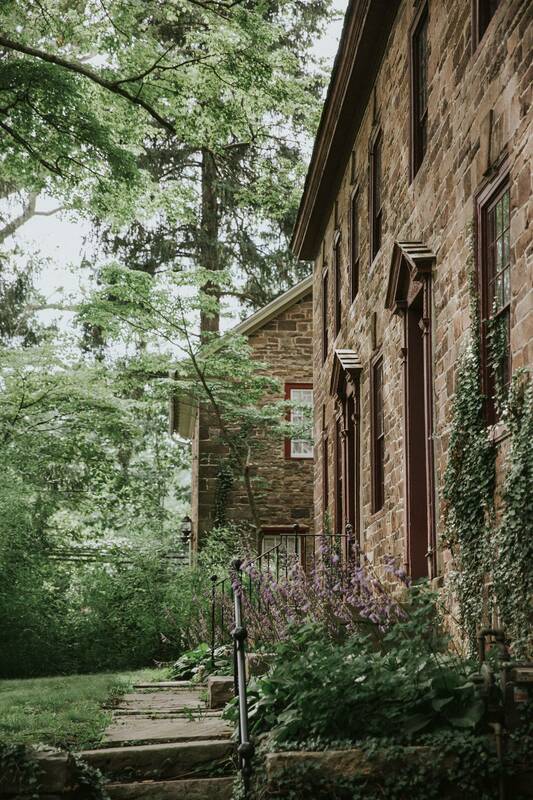 These mills and surrounding structures were constructed originally in the 1720s and were nearly demolished to build town-homes along the Delaware River in recent decades. 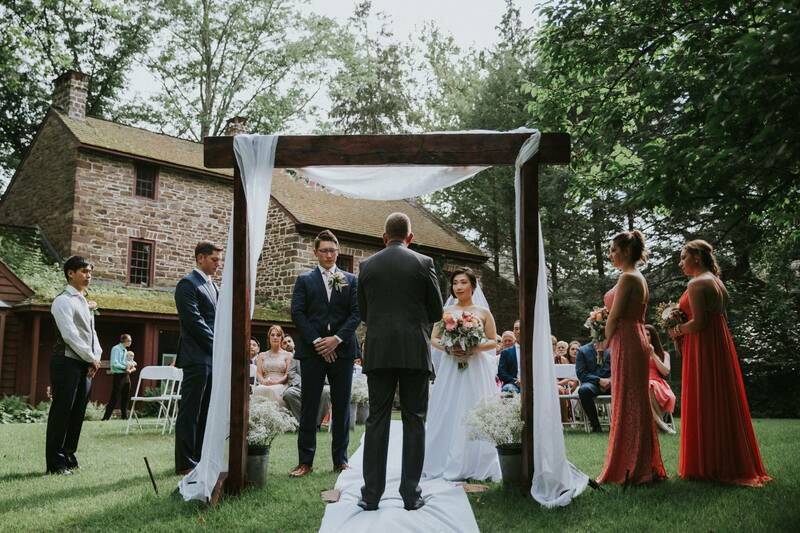 Luckily, they eventually came to be purchased and protected under the the Delaware River Mill Society formed by local residents who restored and opened them to the public and events. 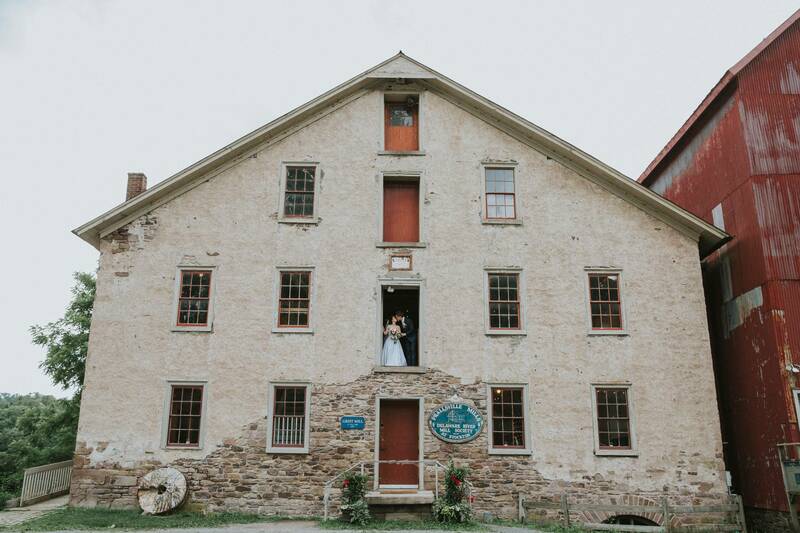 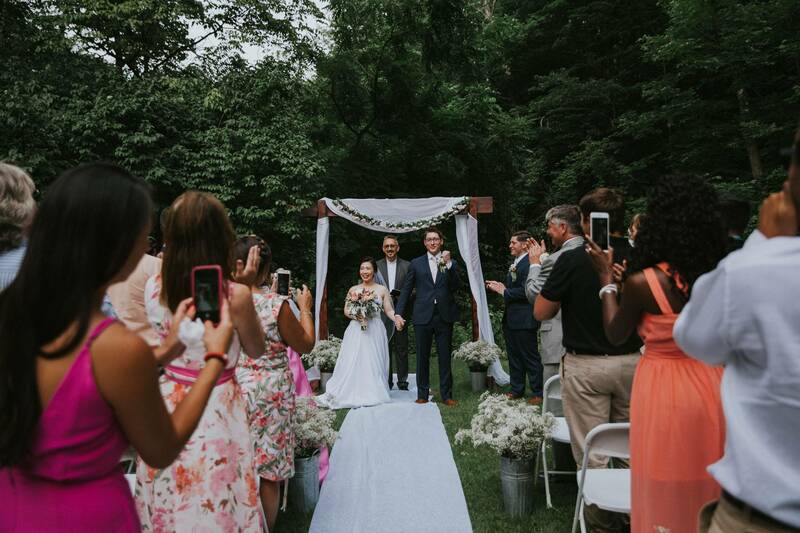 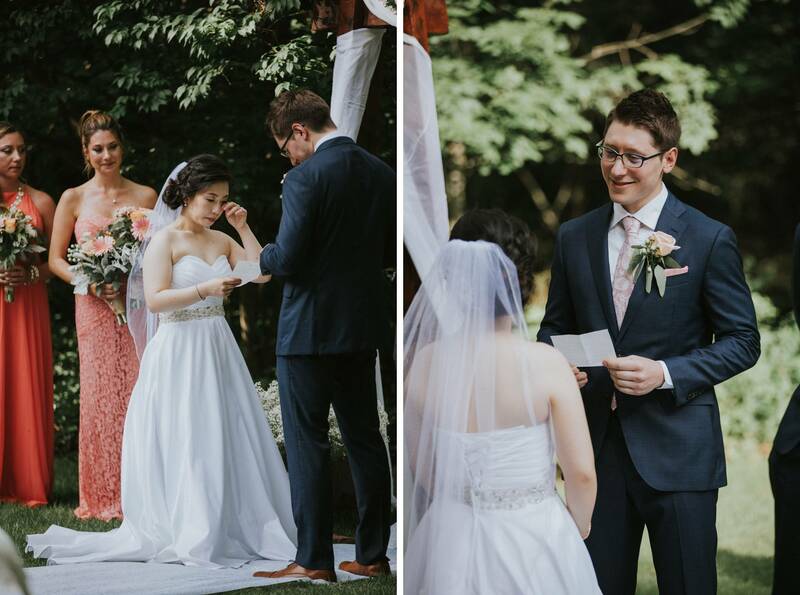 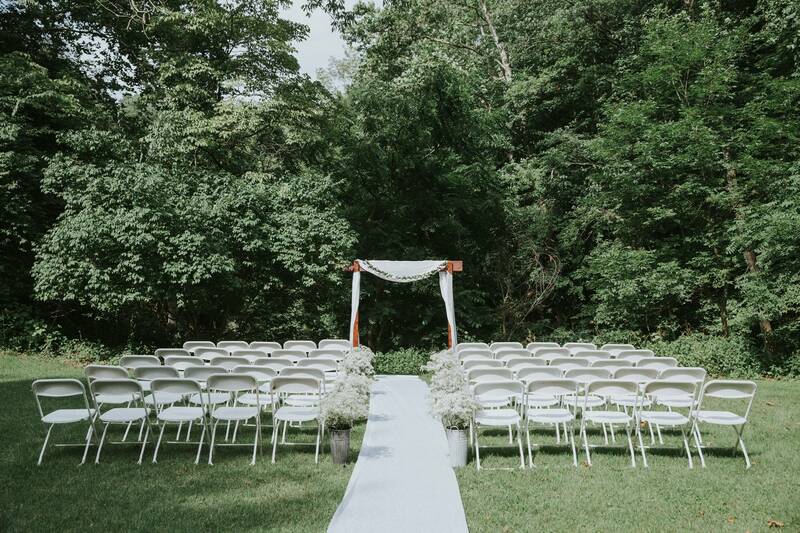 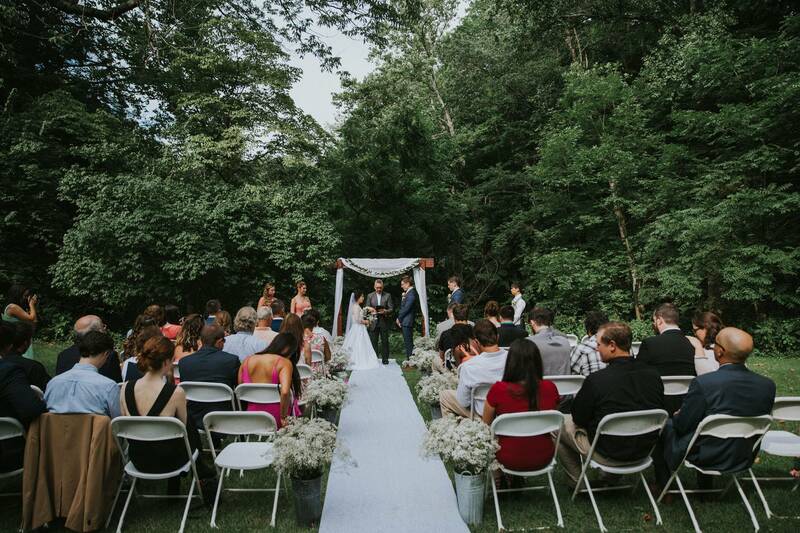 The grounds of these mills served as a magical spot for this wedding between Danny and Ally. 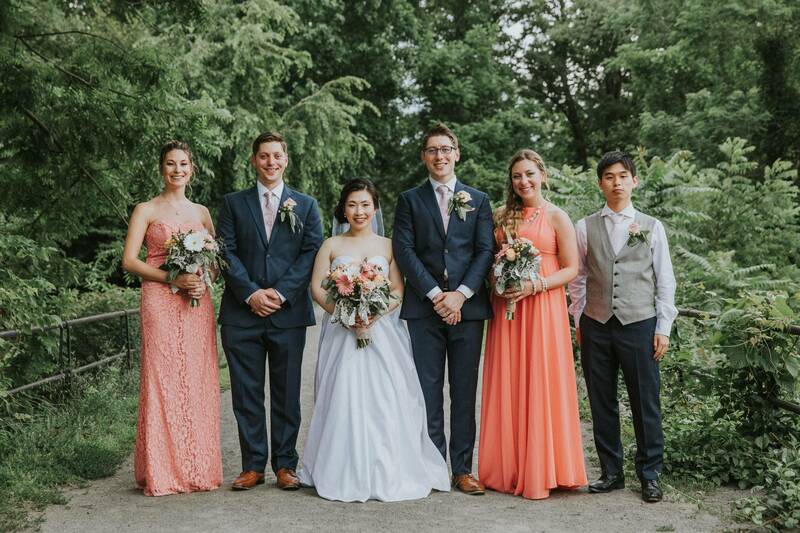 With Danny growing up just down the road from Stockton, and Ally coming from Japan, this day was an amazing blending of cultures. 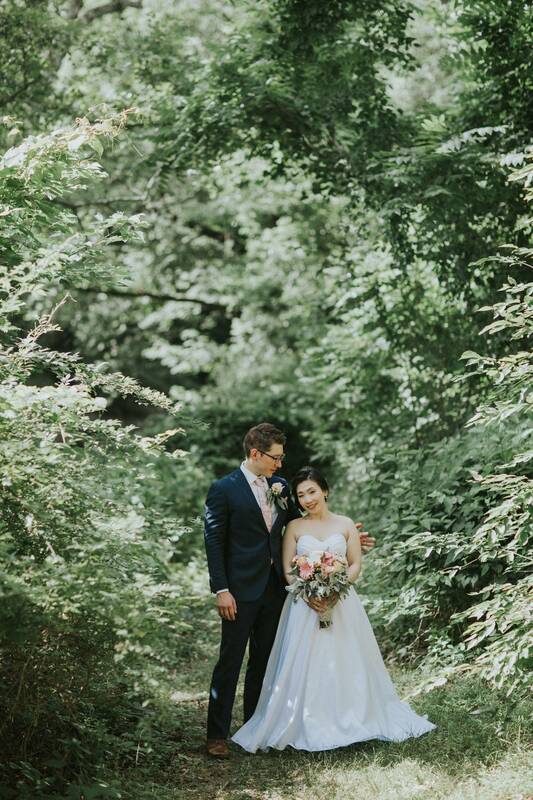 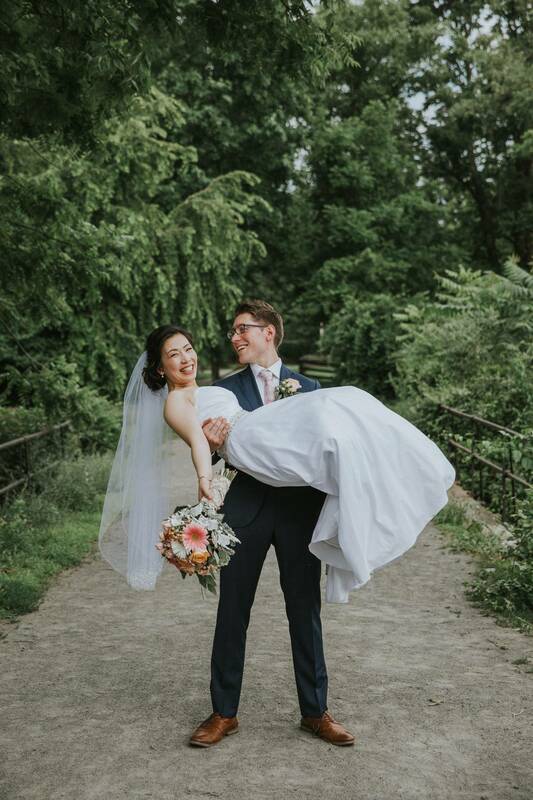 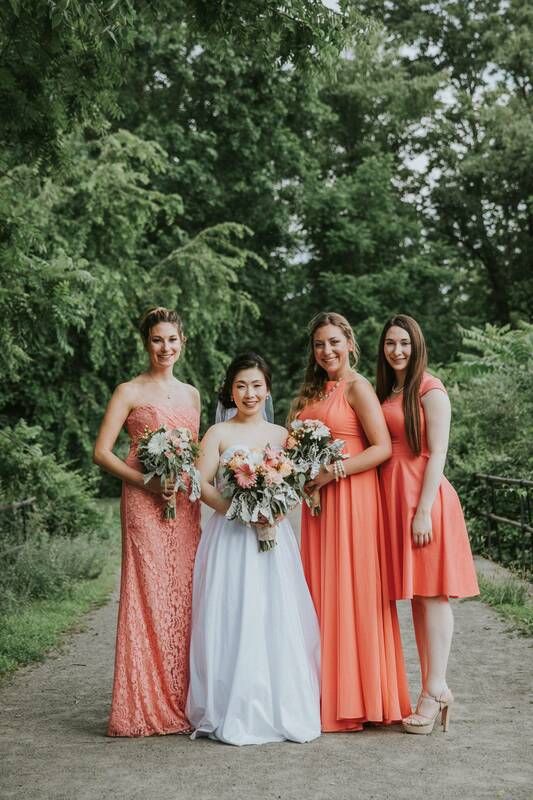 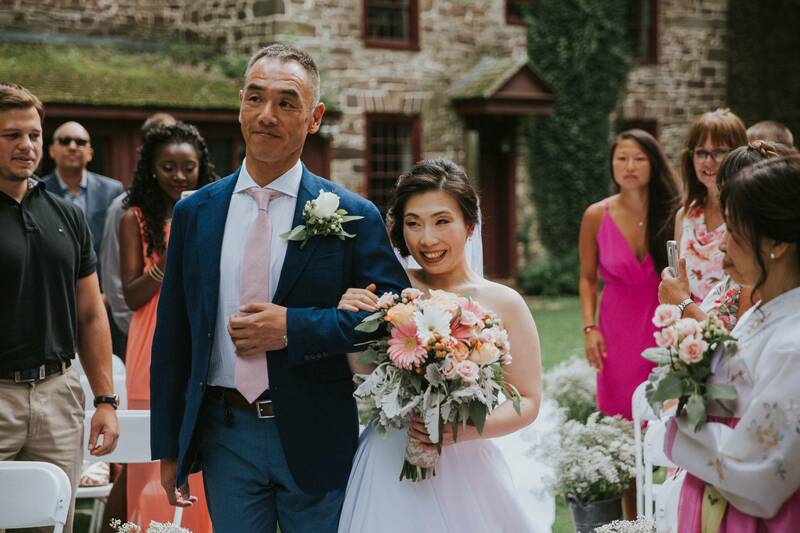 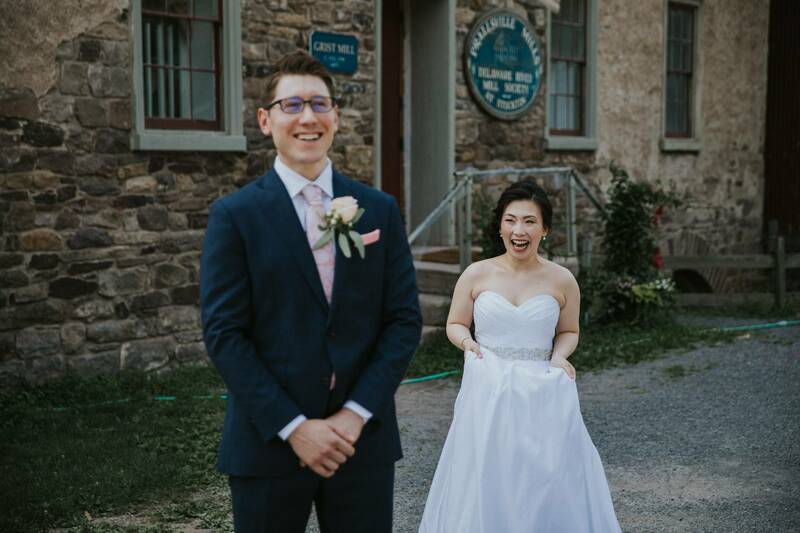 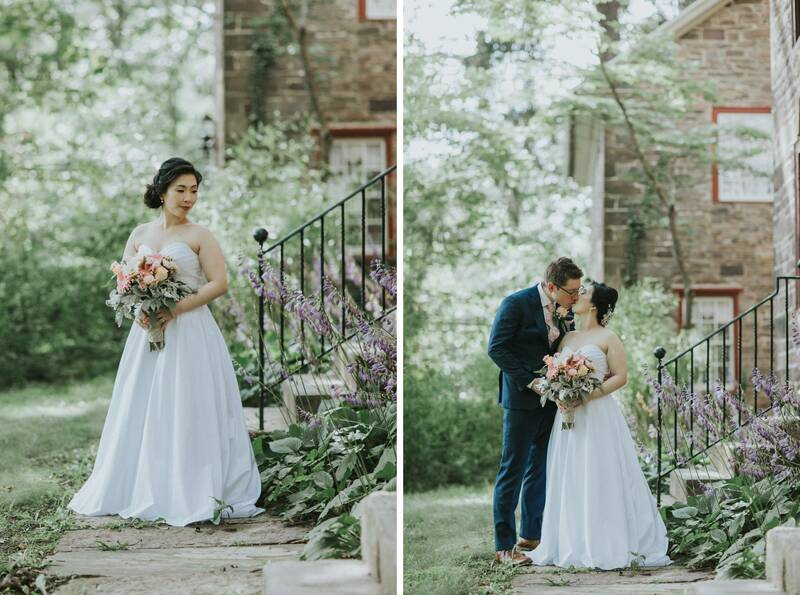 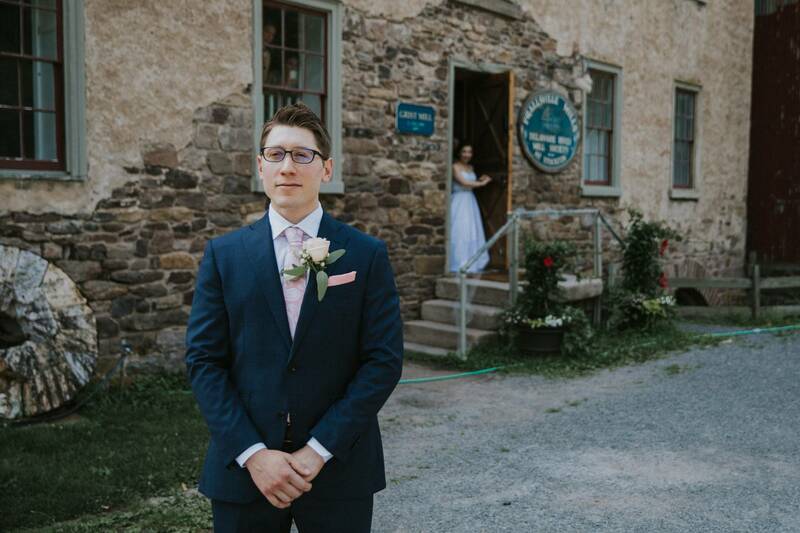 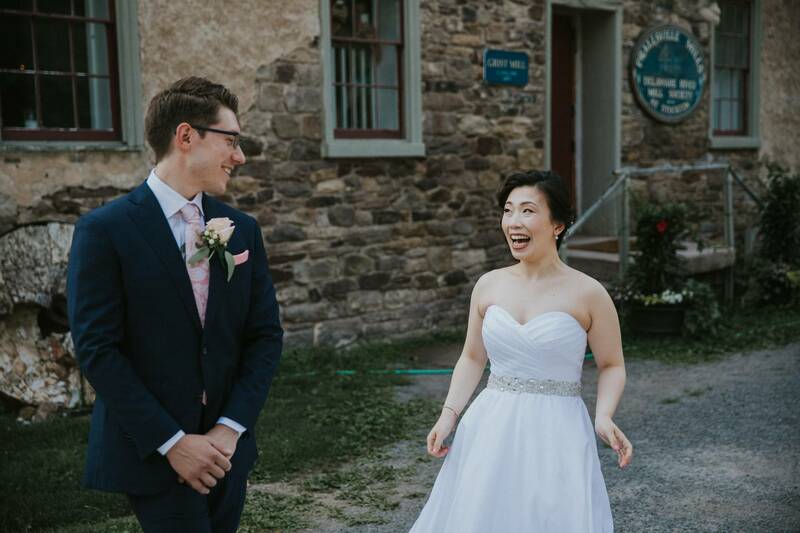 We met the couple just outside the primary grist mill itself for their first look and immediately took a journey through the park grounds along the Delaware River for a huge variety of portraits on a bright sunny summer day. 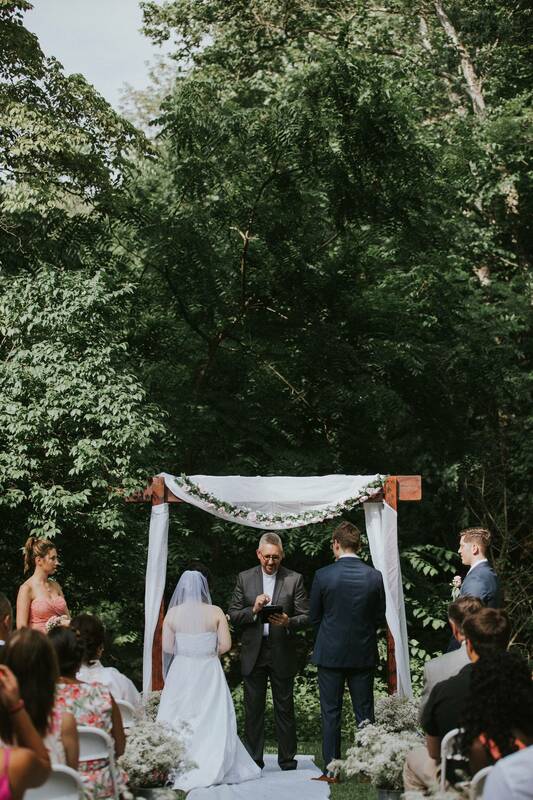 Soon, it was time for the ceremony to begin in the forested backyard of the preserved Prall home just across the road. 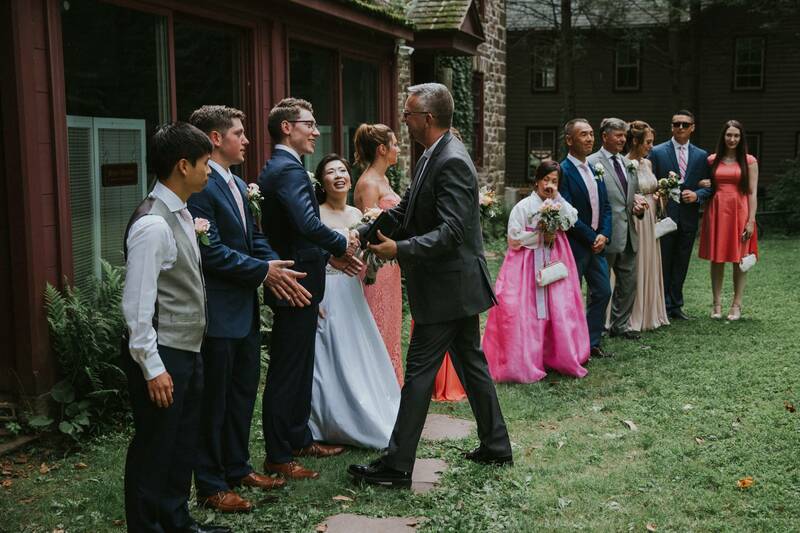 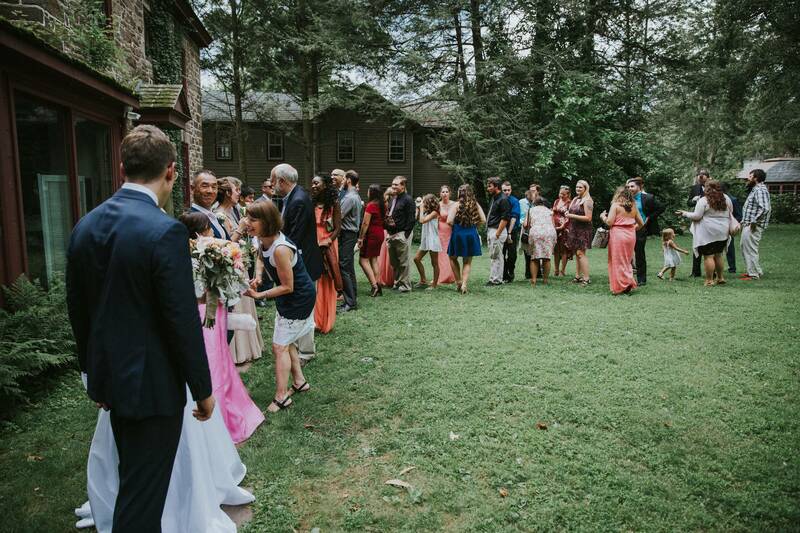 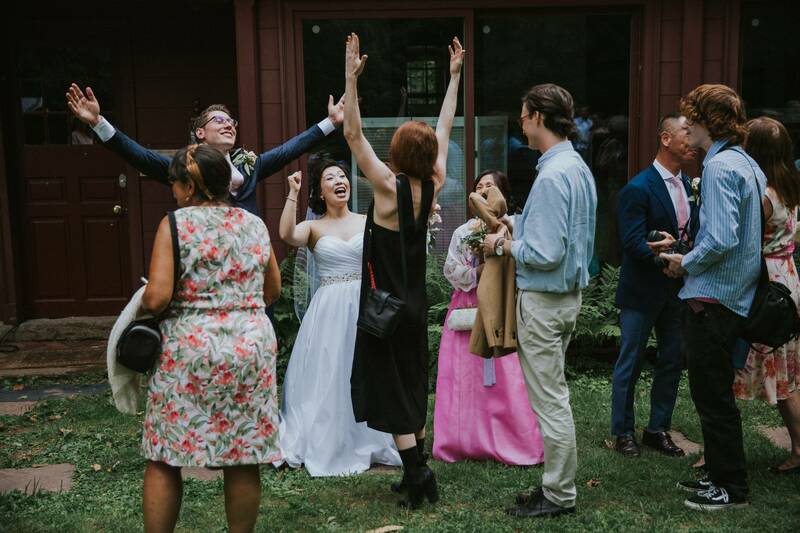 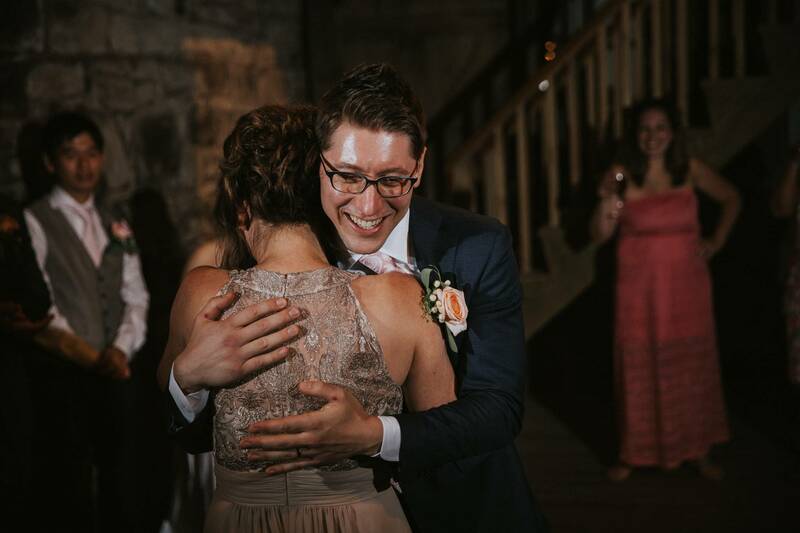 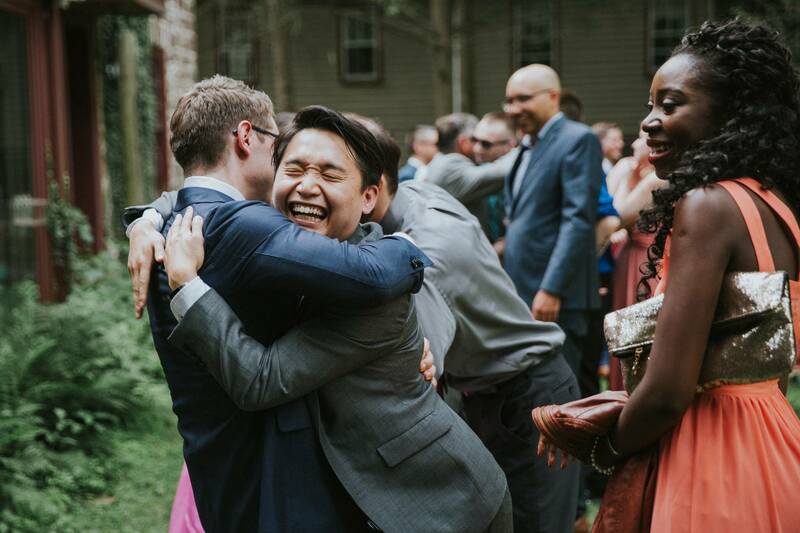 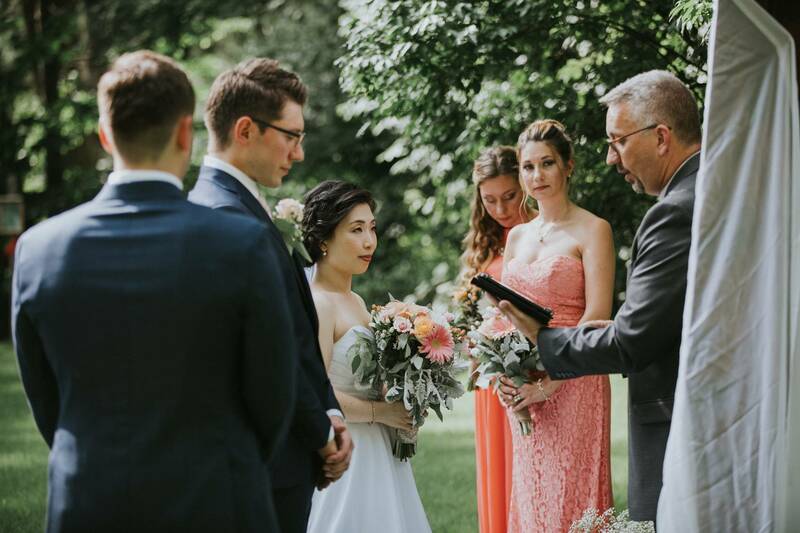 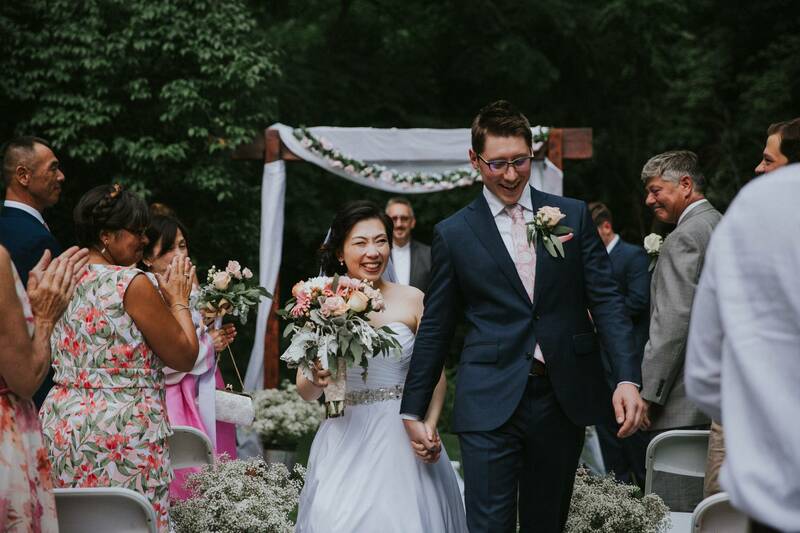 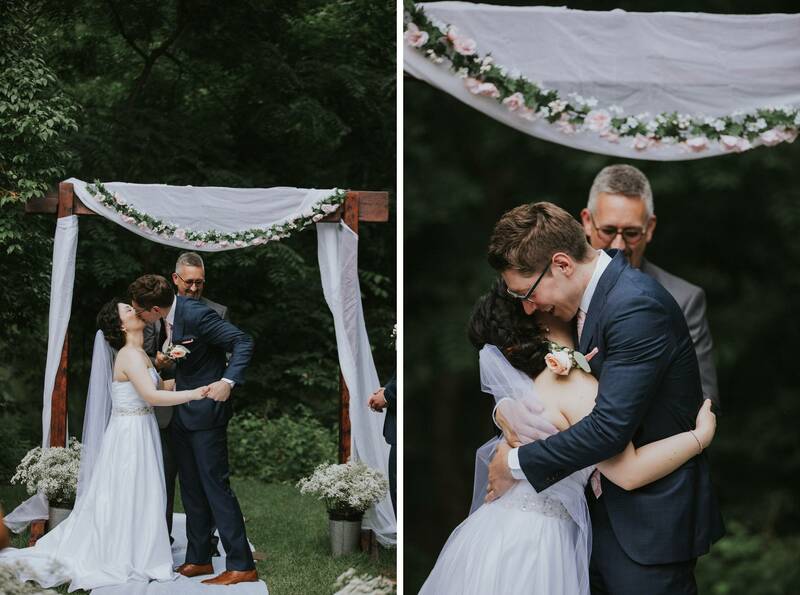 After the couple exchanged vows, rings, and a kiss, every guest made a mad dash say their congratulations to the couple in their receiving line. 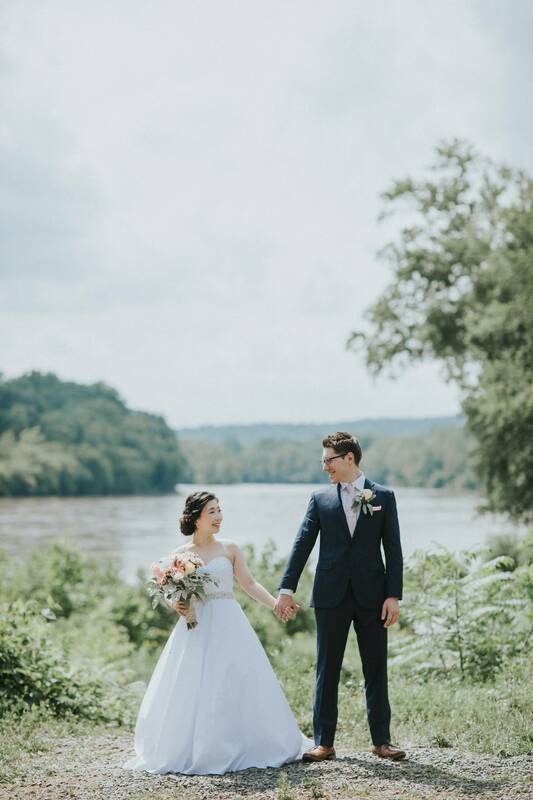 As a storm loomed, we took cover for a few moments, but quickly returned to a walking bridge along the Delaware River for a multitude of family and bridal party photos. 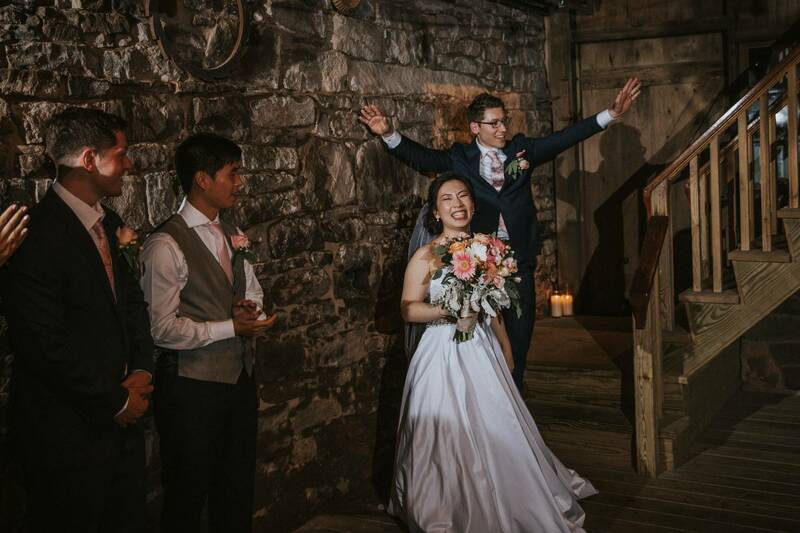 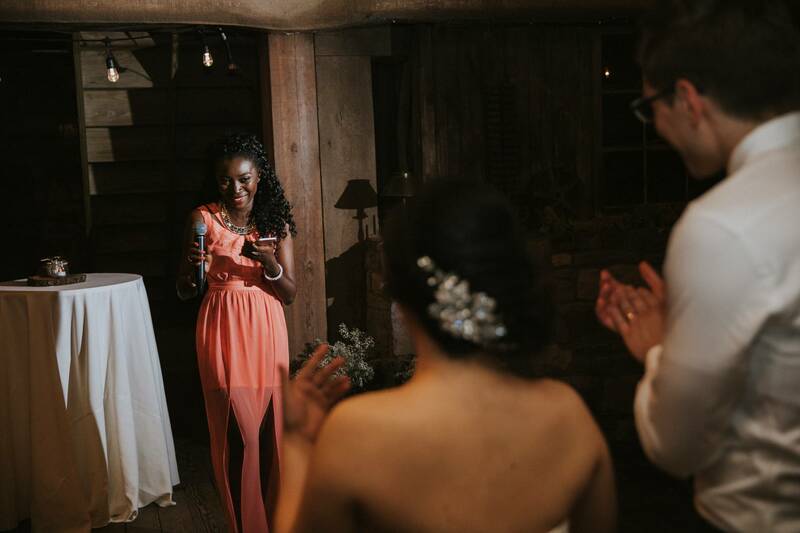 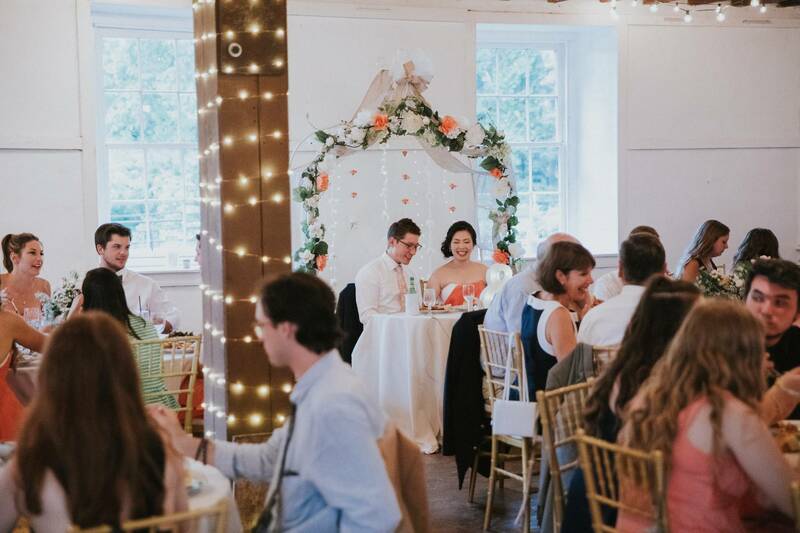 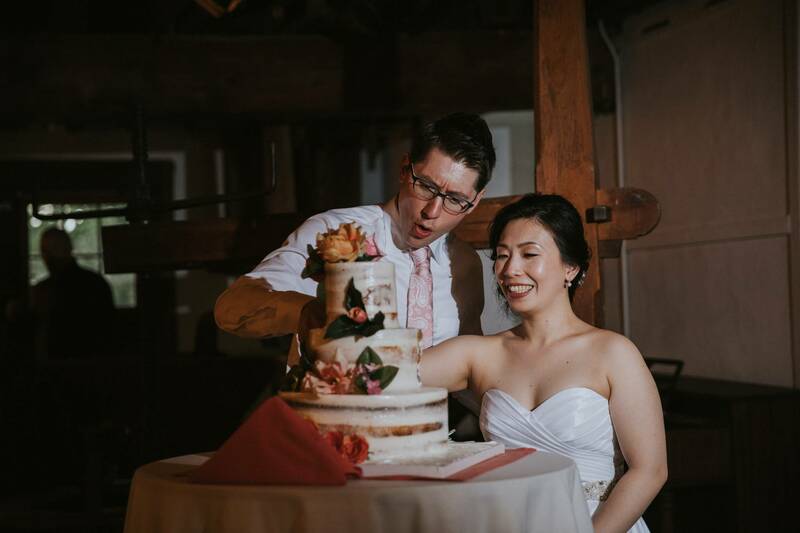 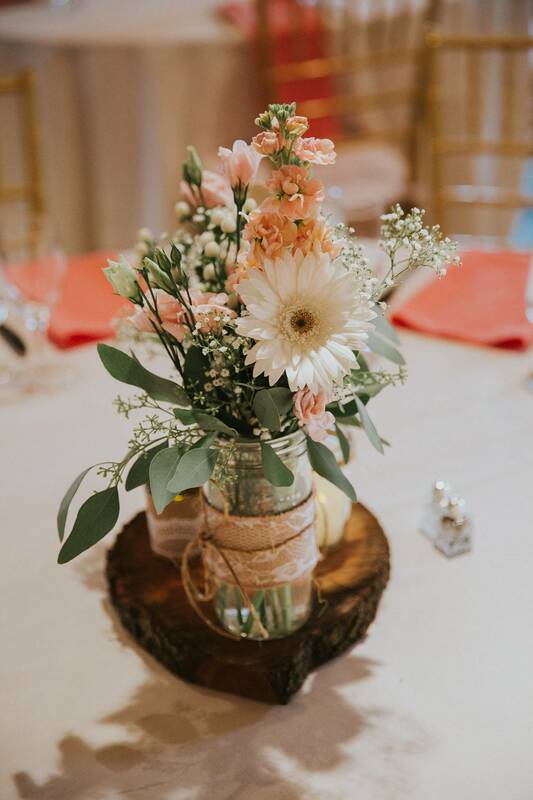 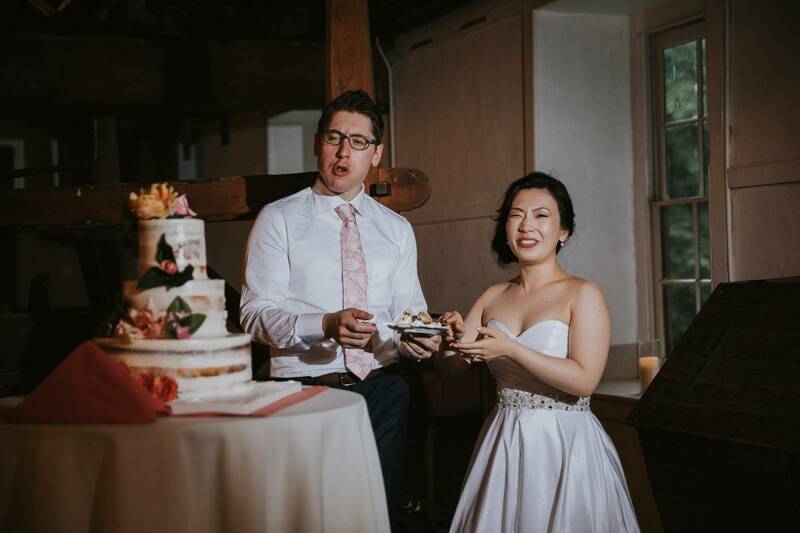 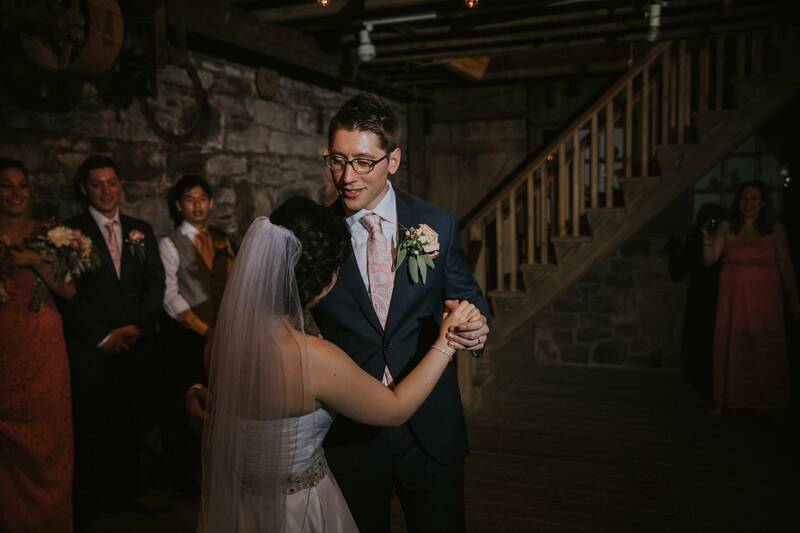 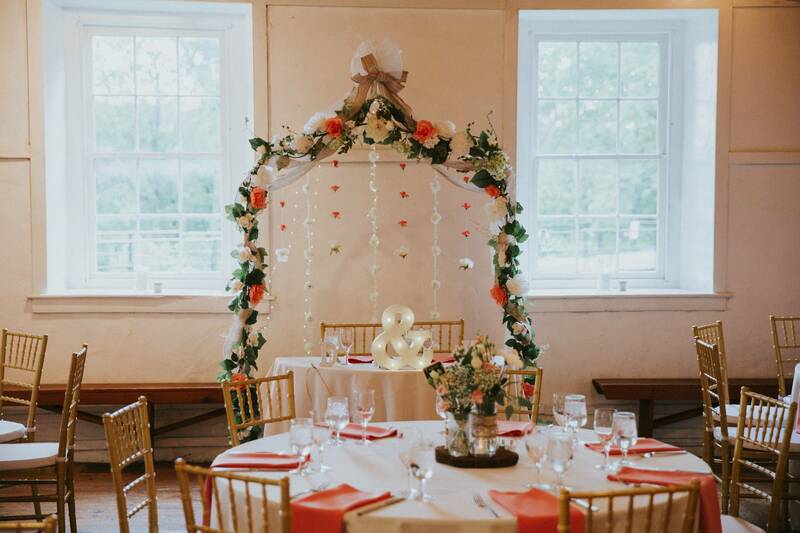 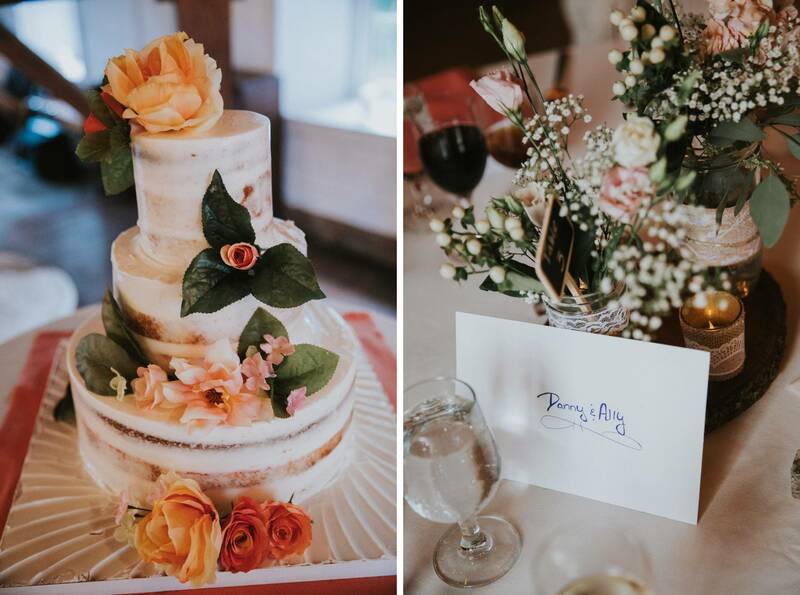 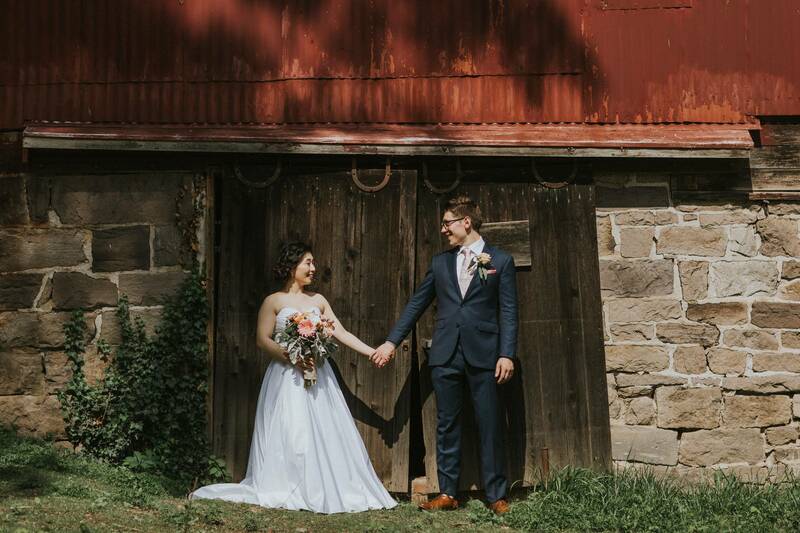 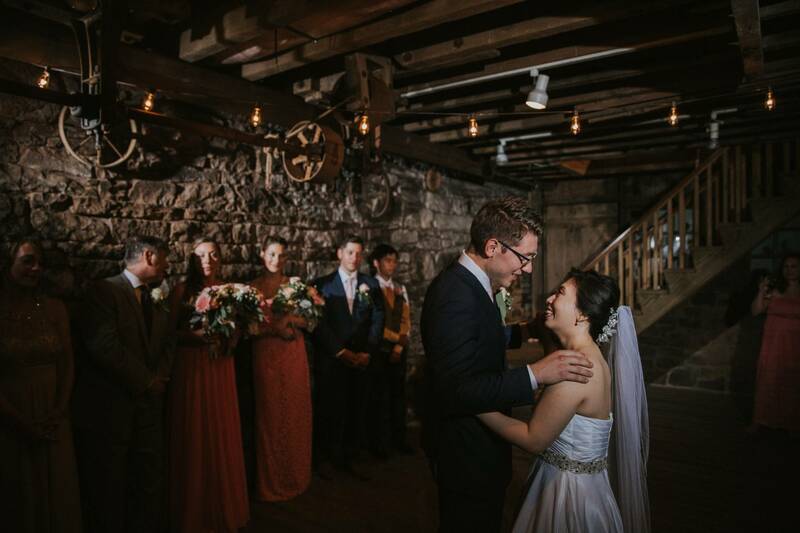 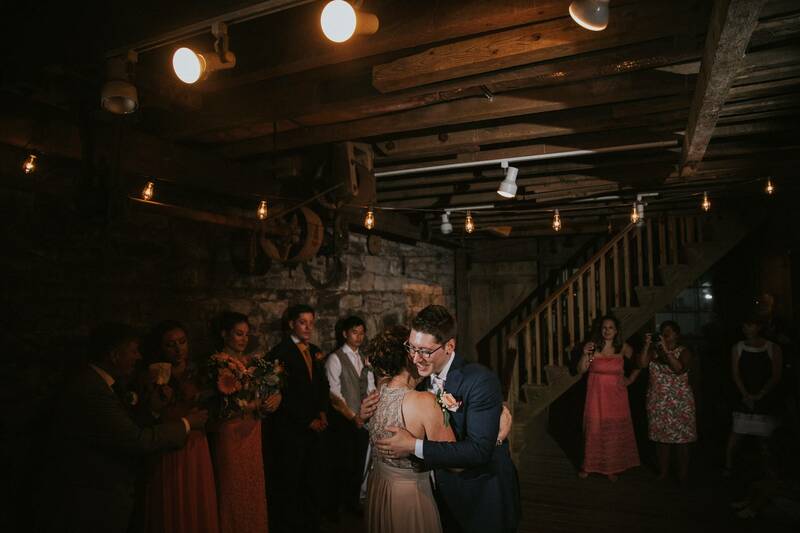 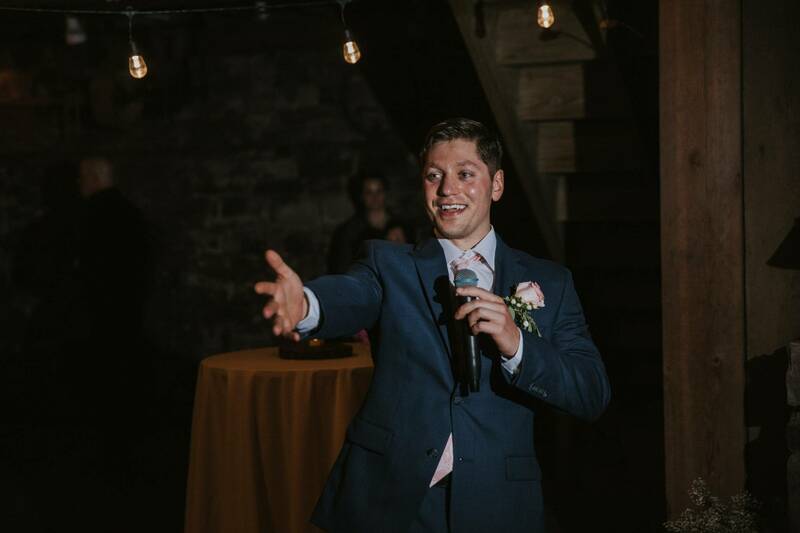 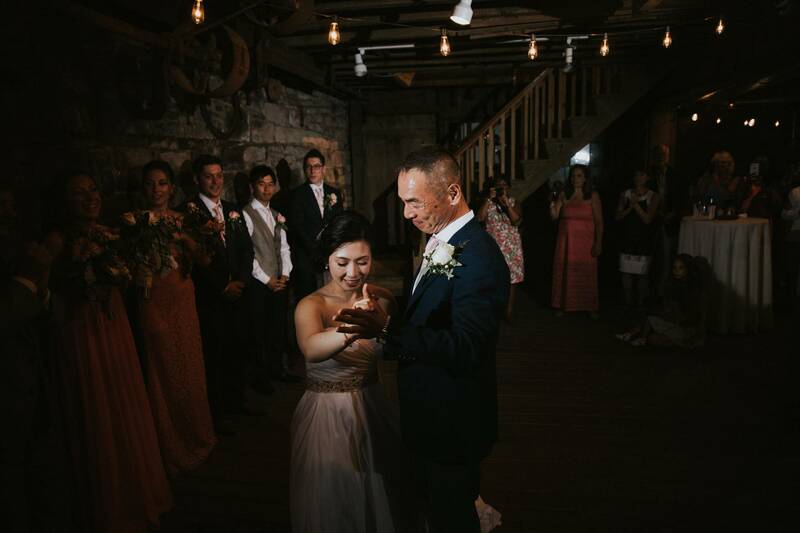 The entrances and dances took place in the moody yet romantic basement of the mill that had a stream of water still running beneath the floorboards and soon all moved upstairs for the dinner reception. 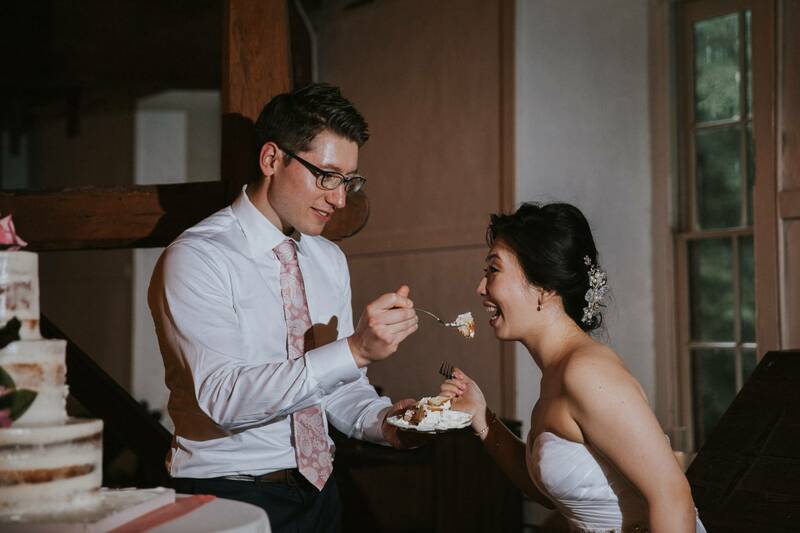 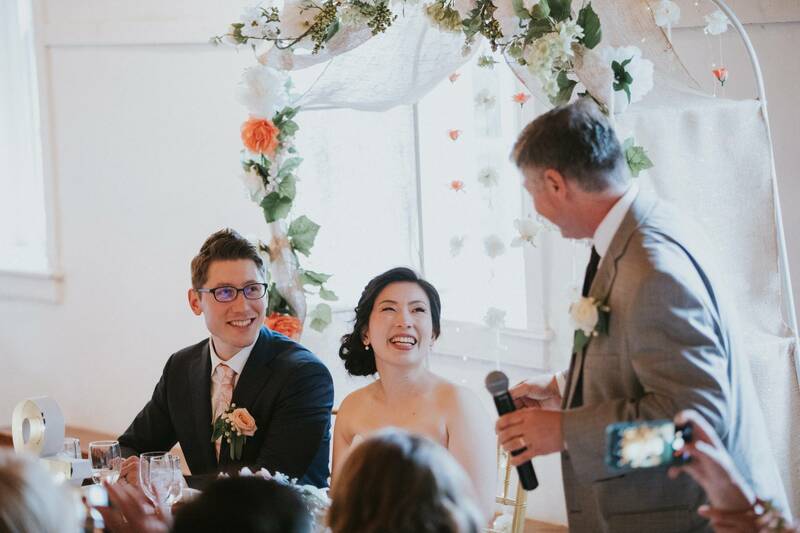 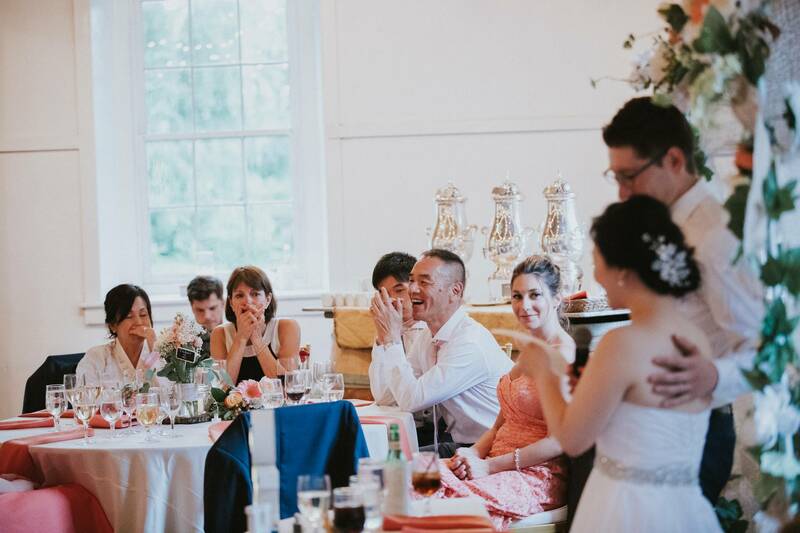 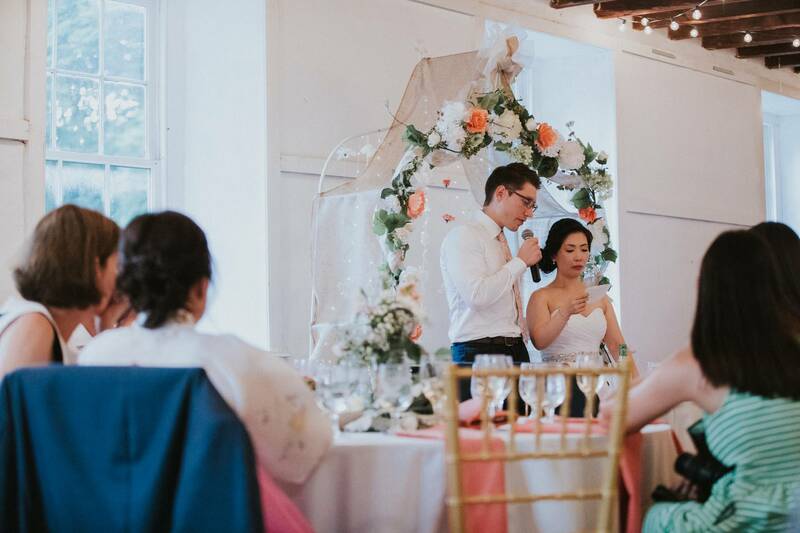 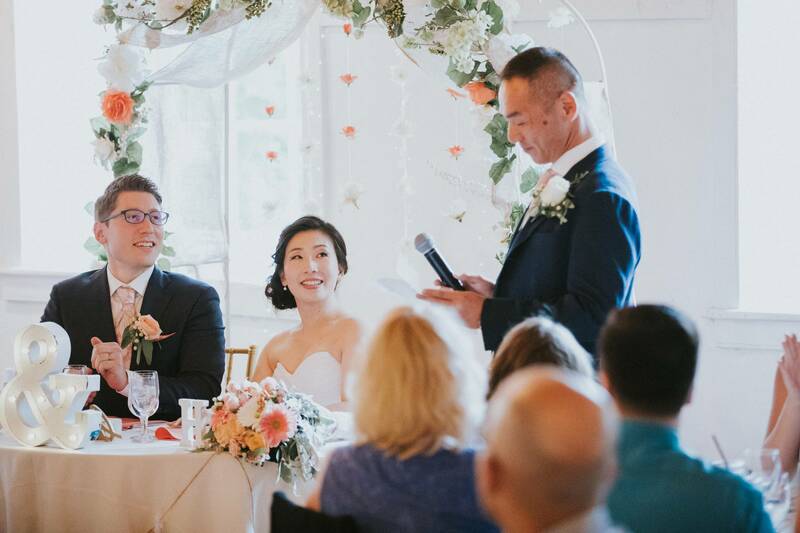 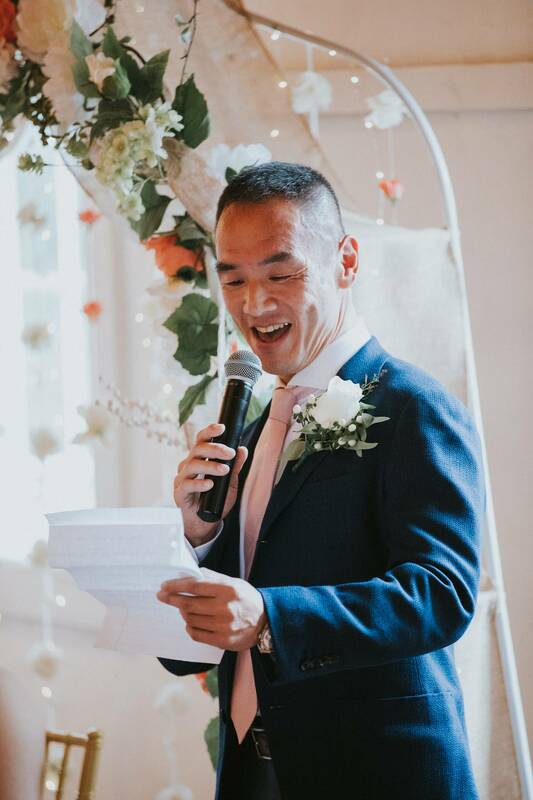 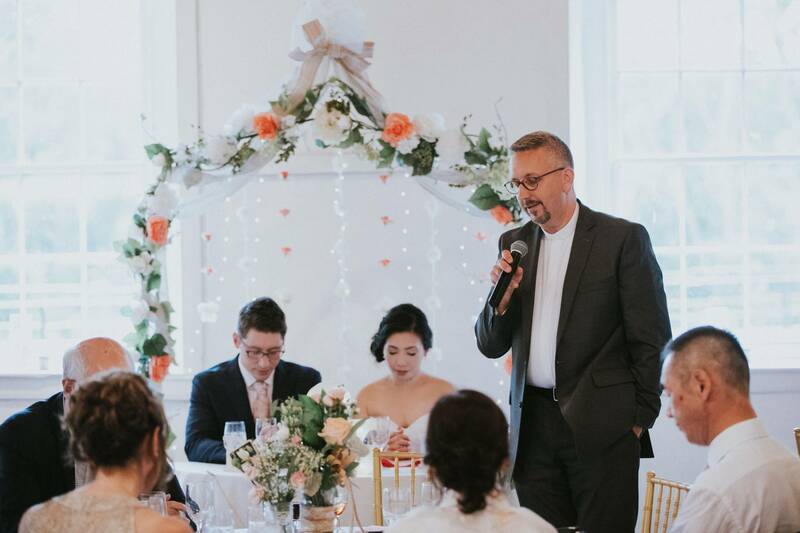 Before the food was served, there were many touching toasts with the bride and groom directly addressing their parents and thanking them for all of the support and loved that they received. 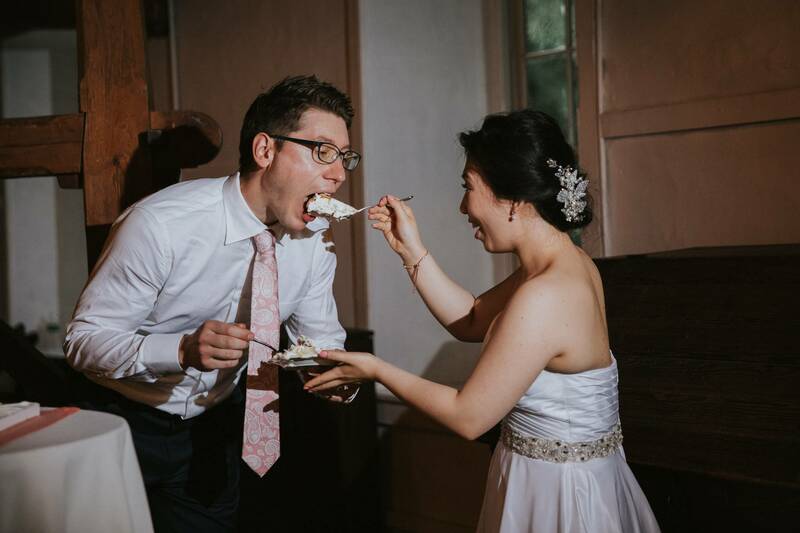 The cake was cut and Danny managed to eat the largest fork full of cake we have ever seen much to the amusement of all. 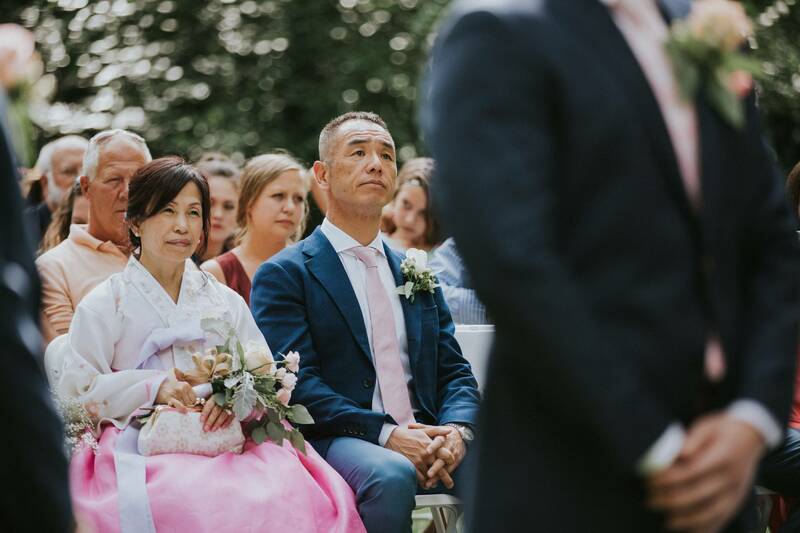 We had an amazing time photographing this wedding day and wish the best for the couple in their lives together in Japan. 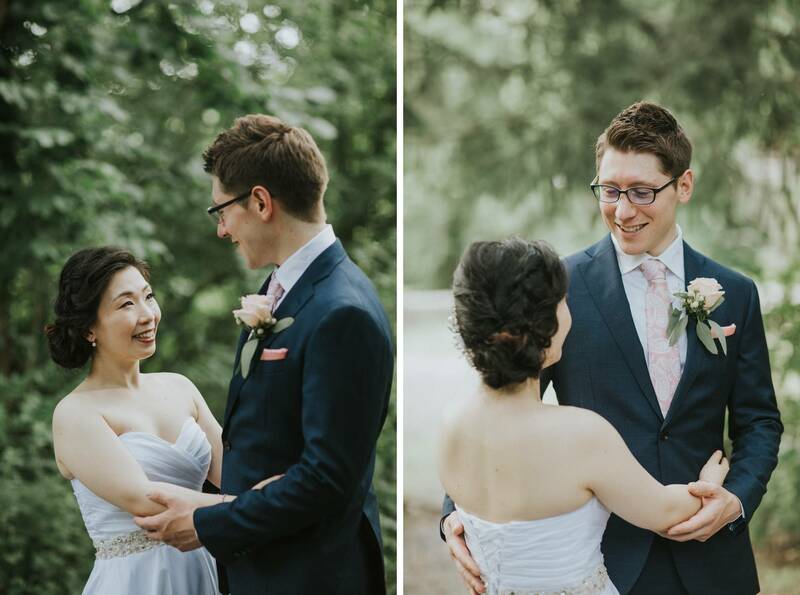 We love photographing weddings and engagements along the Delaware River both in New Jersey and Pennsylvania. 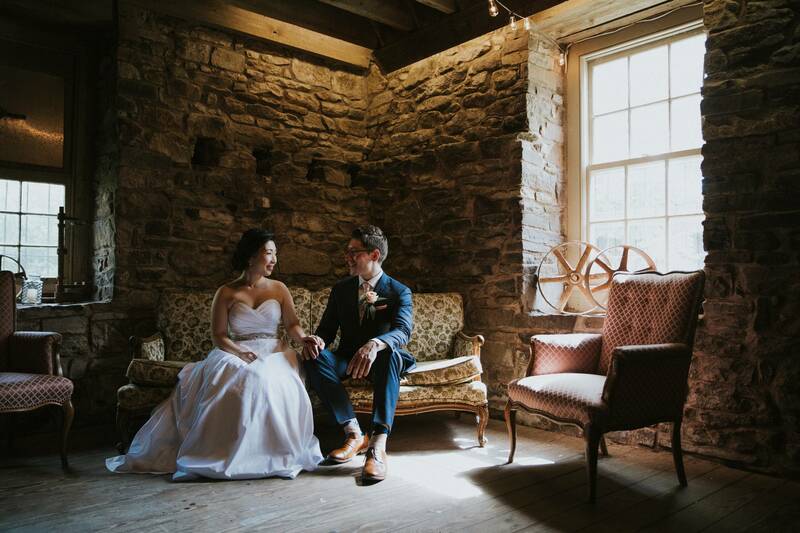 With most stretches of the river still rural and preserved, it feels like you are transported back 100 years in time while standing on the banks surrounded in nature and looking off into the distance. 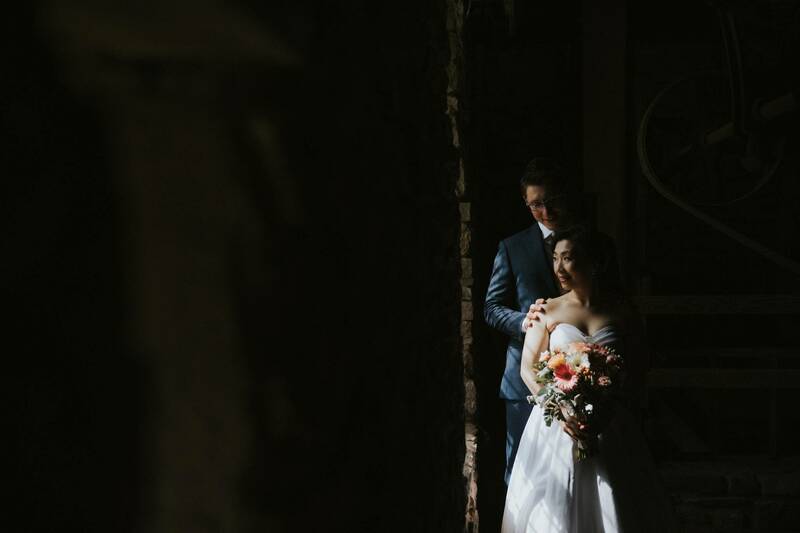 If you are looking for a wedding photographer for your rustic wedding or an engagement photographer, Contact Us for more information about or packages.